As the Scottish Parliament have mulitiple domains registered via Calico, we thought we'd do a parliament special related to some of their dotscot sites. Who better to use as an illustration of how important .scot domain names are to Scottish business, organisations, clubs and individuals? Register your .scot domain with Calico. Using both the English and Gaelic spelling of Parliament takes you to the primary Scottish Parliament/Parlamaid na h-Alba website. 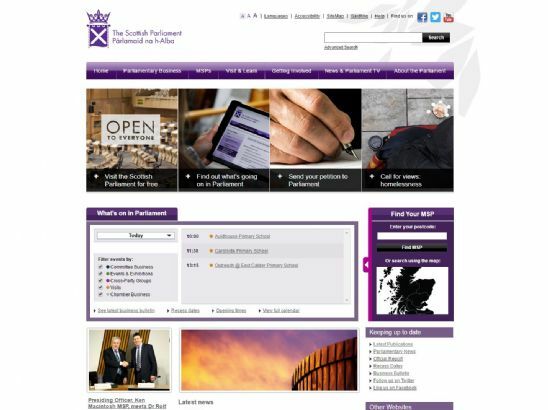 The website provides visitors with information about MSPs, Parliamentary business, News and TV coverage and how you can interact. 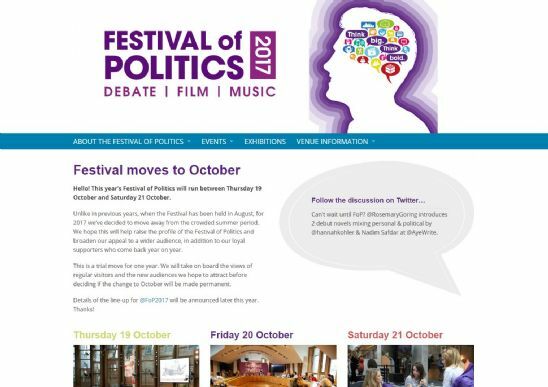 This dotscot domain name is being used to promote and advertise the 2017 Festival of Politics, which will take place 19-21 October. Find out here, information about various events occurring during the festival as well as being able to sign up for further information. The site also highlights the conversation happening over on Twitter ahead of the event. Follow them on Twitter here. 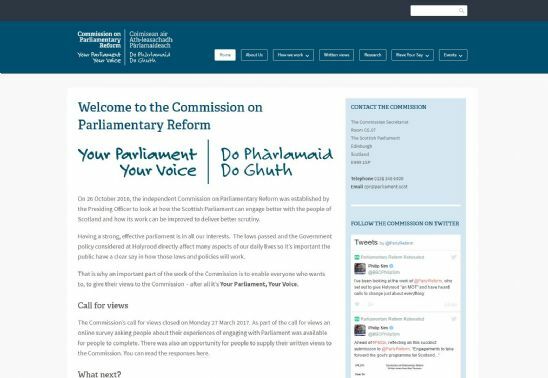 The Commission on Parliamentary Reform use parliamentaryreform.scot for a website dedicated to the Commission. With information on the work that the Commission does, as well as how you can engage with them, events and news. The site also goes into details about research papers, reports and analysis carried out by and for the Commission. 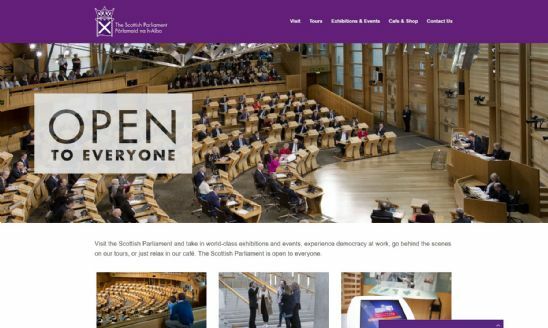 The Scottish Parliament use this domain to highlight that the Parliament is 'Open to Everyone'. Head over to this site to discover how you can visit the building, take a tour, see exhibitions and events, or even just visit the shop or cafe. With all sort of activities going on, you can go behind the scenes and experience democracy at work. 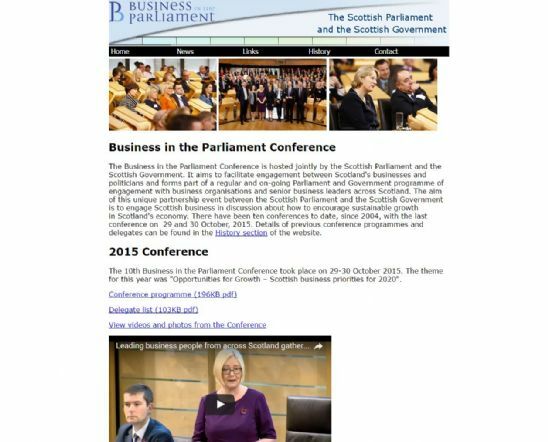 This website relates to Business in the Parliament conferences that have run in the past as shared events with the Scottish Government. You can find information about the 2015 conference, including delegates, videos and photos, and the resources made available following workshops. We would predict that any furture conferences would also use the dotscot domain for promotion as well. If you'd like a DotScot domain name for your online activities, eg business or personal website or email, then get in touch with us here at Calico. We're a Scottish ISP registering .scot domains for Scots worldwide. Search for and register available .scot names at Calico.scot.